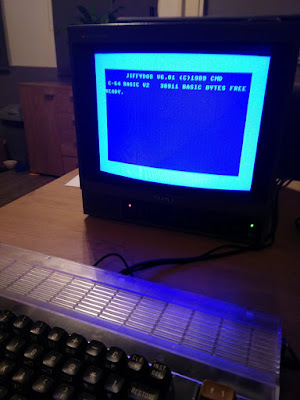 Retro games, computers and development... Just for fun! 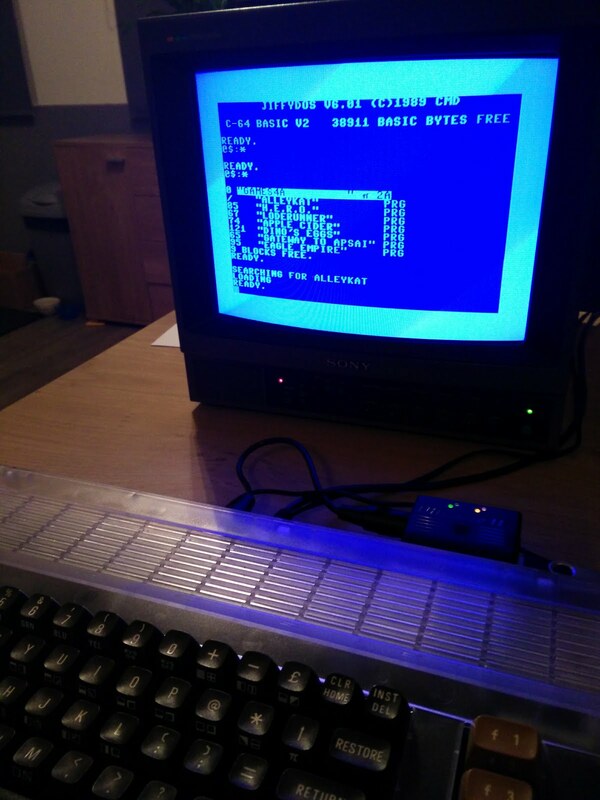 Using the new Reloaded MK2 motherboard for the C64 in combination with the 1541 Ultimate II+ cartridge has made it ridiculously easy to use Jiffydos without the fuss of opening up hardware and lifting chips from sockets. 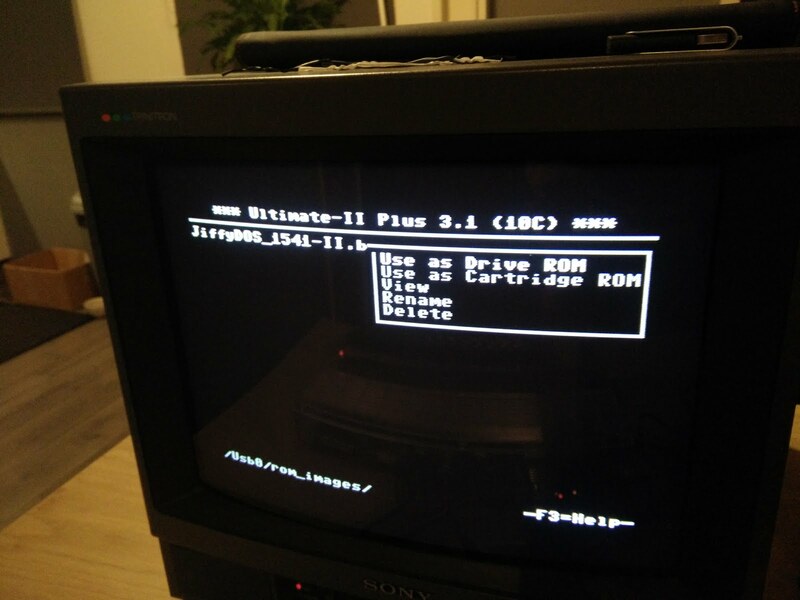 We need two kernal ROM images: the one for the C64 itself, and the ROM that needs to be used in the disk drive. These can be acquired from various places. Let's set those ROMs to work. The kernal ROM needs to be uploaded to the motherboard by using the USB file transfer method. I use Linux Mint, with Minicom. In order for xmodem file transfers over serial to work, and not report "failure executing protocol", an Y/Z modem needs to be installed. I do not know why this doesn't work out of the box, but entering sudo apt-get install lrzsz in a terminal window did the trick for me. I love Google. 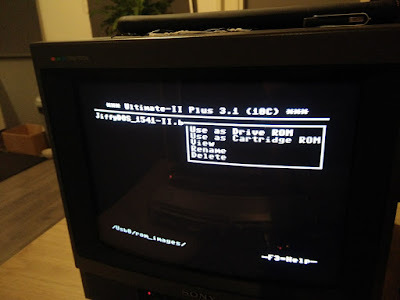 NOTE: After uploading, the ROMs list does not show that an image has been uploaded to the board. So make a note on which ROM you put in which slot. Select option 1 to select the kernal ROM we uploaded. Make sure to use menu "W - Write settings" to save the settings. From now on, the MK2 will start with this kernal activated. We can make selecting the kernal ROMs a bit easier though by changing the setting in the "K - Configure Keys (RESTORE and RESET/POWER)" menu. 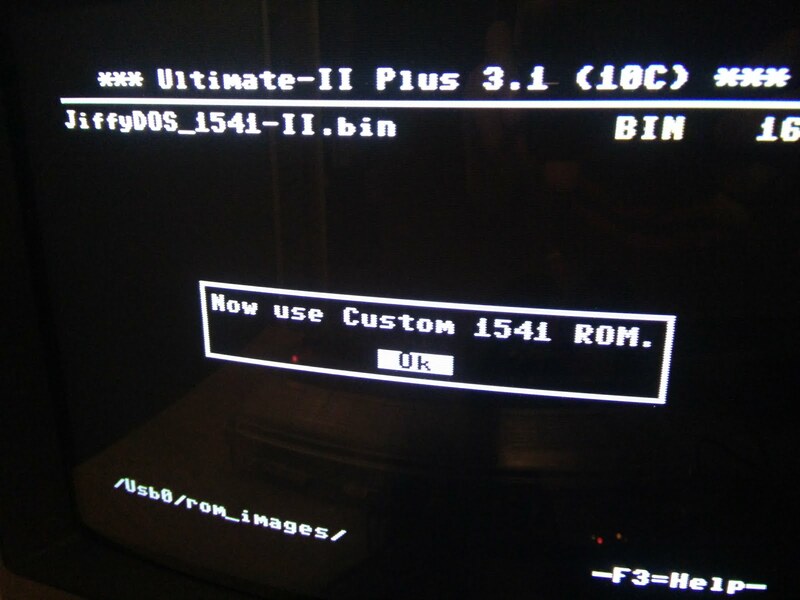 I changed the long press of the reset button to switch between custom image 1 and the default kernal ROM. After performing this action (hold the reset button for at least 5 seconds) you need to reset the machine to activate the other kernal ROM. So hold, and then short press the reset button. 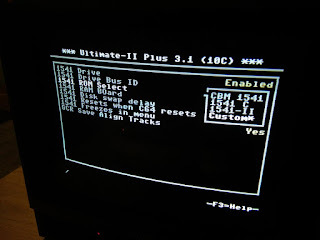 Next, we need to set the 1541 Ultimate II+ to use the Jiffydos kernal ROM for its drive. This is done by first locating the ROM on the USB stick and selecting it. Press ENTER and we're done.